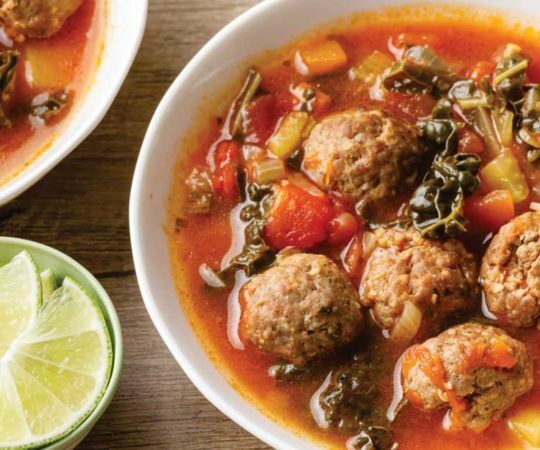 I’ve got another excellent paleo recipe that’s extremely simple to prepare that I wanted to share with everyone today. 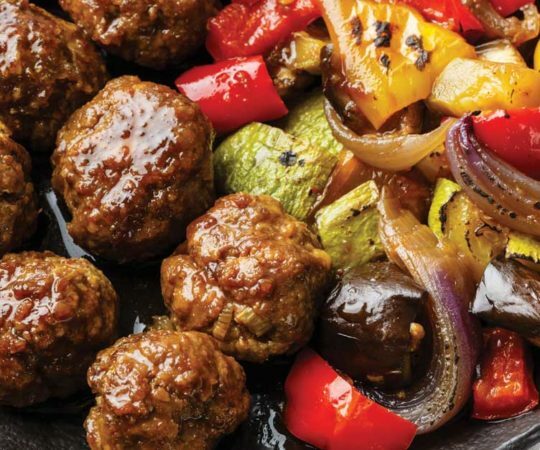 These one sheet meatballs with roasted cherry tomatoes are absolutely full of zesty flavoring. 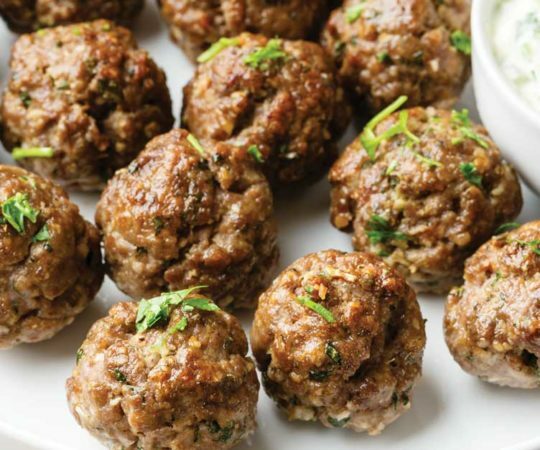 The meatballs are made entirely from scratch, and include both garlic and parsley giving them quite a distinct and enjoyable taste. 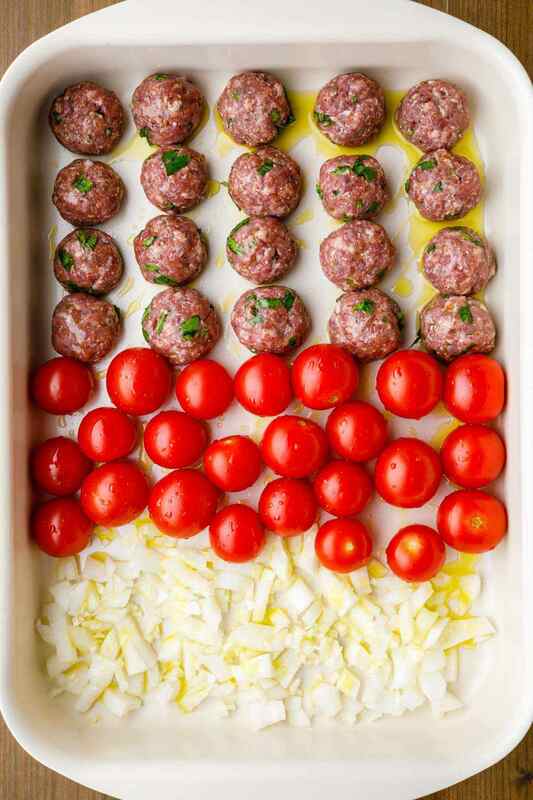 Surrounding the delicious meatballs on a baking sheet is a delectable combination of cherry tomatoes, chopped onion, and garlic that’s been drizzled with olive oil. Ever since I switched over to a paleo diet, I’ve always enjoyed the challenge of finding ways to enjoy my old favorites in a healthier format. It’s amazing how many things can be made 100% healthier when you make them entirely from scratch and use some clever ingredient replacements. 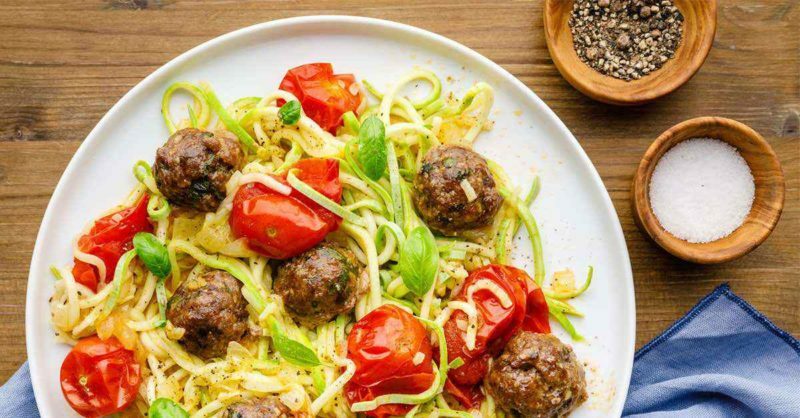 In doing so, I’ve found that you can make paleo-friendly versions of many different classic dishes that are even better than the original. 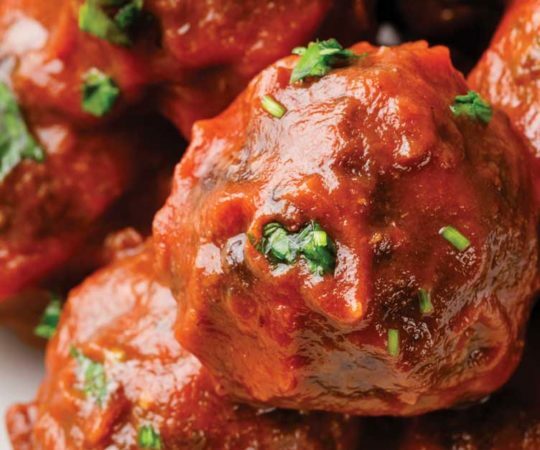 So it should come as no surprise that these homemade meatballs follow that trend. 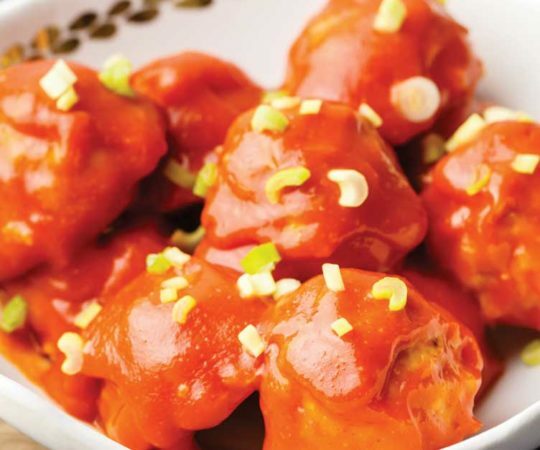 The meatballs are incredibly easy to prepare as they only require a few basic ingredients. First off, in order to keep them completely paleo-friendly, they use almond flour along with egg to help hold them together. I’m sure you all know by now how much I love using almond flour for all of my cooking and baking needs. It’s completely grain-free, it’s full of vitamins and minerals, it’s surprisingly quite high in protein, and it provides a delicious slightly nutty flavor to everything that it’s added to. 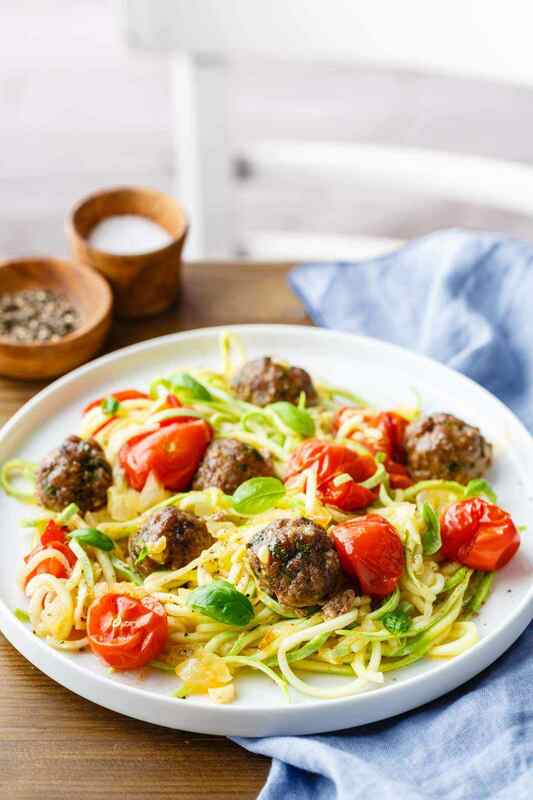 When these delicious meatballs are served alongside roasted tomatoes and an accompanying side dish, such as zucchini noodles, you’ll be able to enjoy a completely healthy paleo-friendly meal that provides the same great taste that you would expect from classic spaghetti and meatballs. 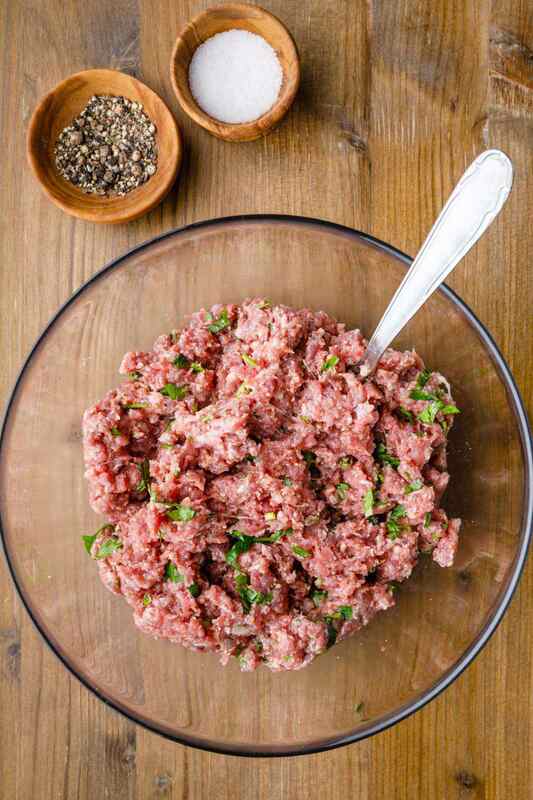 My favorite part of this recipe is definitely the garlic enhanced meatballs — you should definitely also try making garlic flavored hamburger patties as well. Those are always a hit. 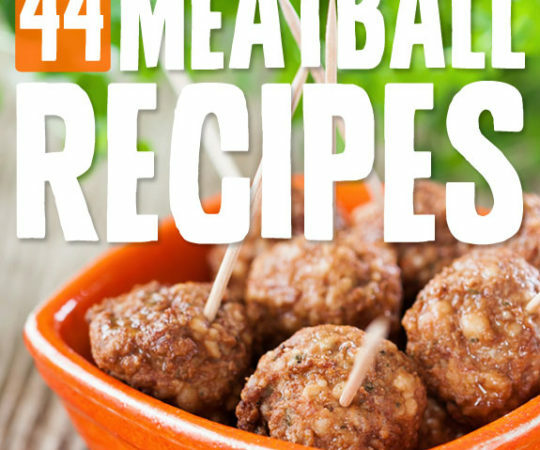 In a large bowl combine all the meatball ingredients. 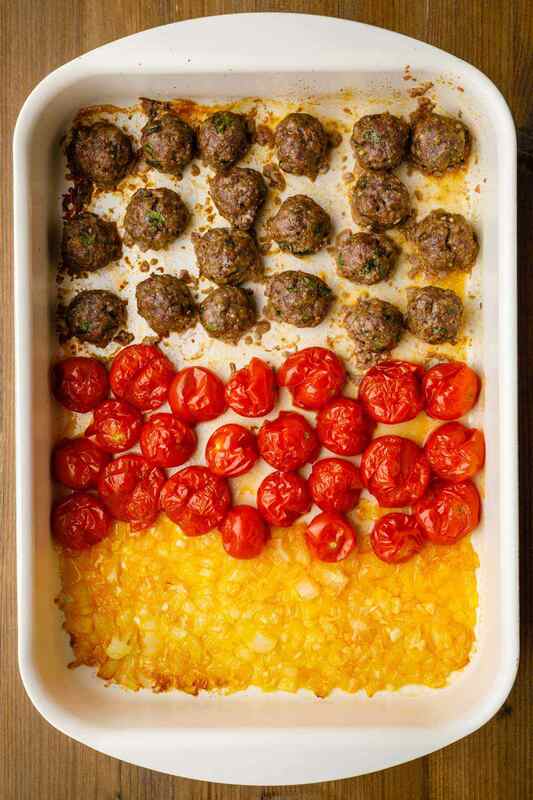 Place the meatballs, cherry tomatoes, onion and garlic on a baking sheet. Bake in preheated oven for 15 – 20 minutes or until cooked through. Remove from the oven and toss to combine. 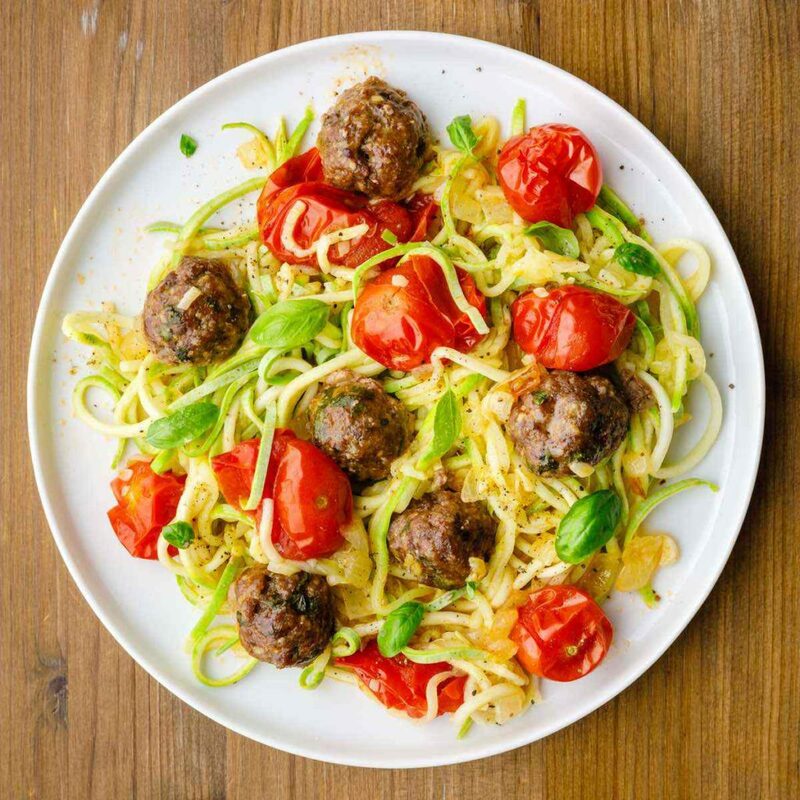 Serve with zucchini noodles or cauliflower rice and sprinkle with basil leaves if using.